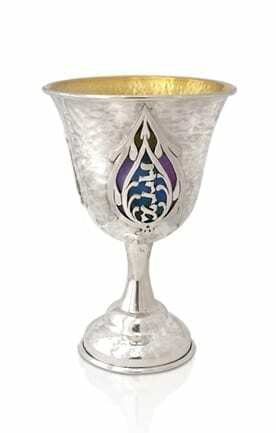 Sterling silver and aluminum harmoniously unite to create a unique and meaningful Seder plate. 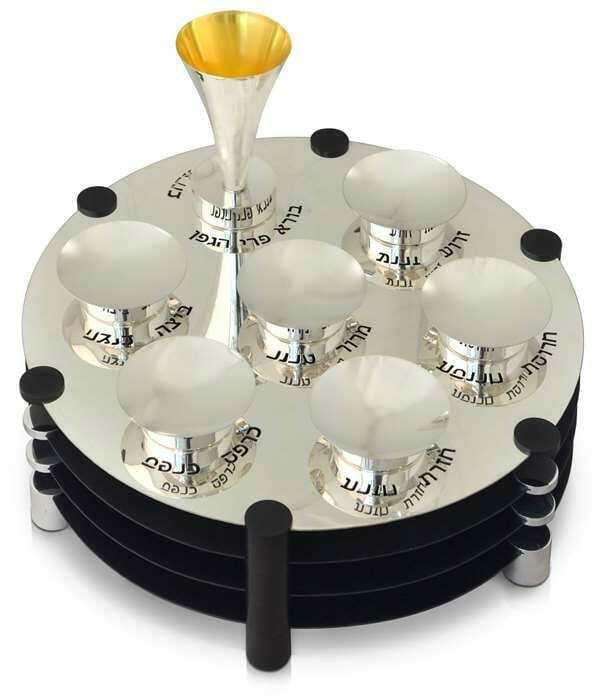 A sleek, round silver plate features six mini-plates and a silver Kiddush cup, with the names of the ceremonial foods cut-out in elegant Hebrew wording by each plate. 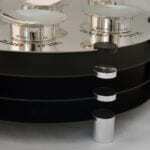 Below the top plate are three graceful aluminum plates, spaced out evenly for the three Matzot to be placed within. 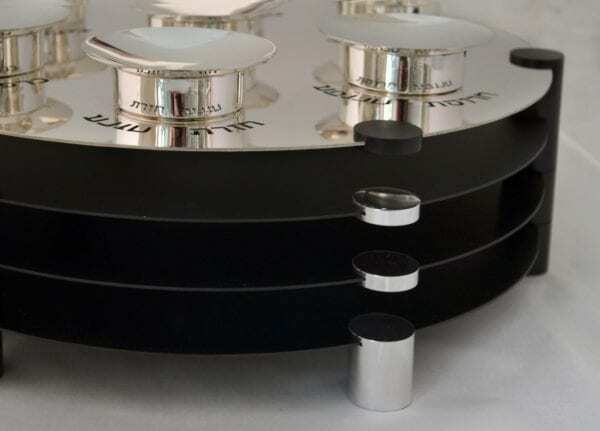 The legs holding up the plate alternate between silver and black aluminum, incorporating a modern element and bringing the entire design together.